This time last year, I wrote my New Year’s Stitching Resolutions for 2013. A whole year has passed since then. It’s time to review the old goals, remove some, add some, and generally reflect on 2013 and the new year to come! I actually wrote a Progress Report on this a month or so ago… I haven’t quite come up with a solution to the problem, but I do know that I decided not to work on the sampler anymore for the reasons listed in the article. So this is definitely a goal that’s not making it onto the new list! This is still a semi-goal… it’s not as important to me as it was when I made the 2013 list. A lot of the pieces are stained and/or they are very large projects, so not only will I need to start over on several of them – and they aren’t things I particularly enjoy stitching – but they’re large projects and I don’t do large projects. There are one or two that are small and in great shape, and I’d love to complete them! But the rest… not so much. This goal will be modified to be some and not all! I think I can honestly say, I completed this goal this year! There were some tough times, as I moved twice over the course of the year and each move the amount of space I had for my stash got smaller and smaller, but I have managed to organize it to two shelves on a bookshelf! I’m planning to do a Random Corner article on what I did and how I sorted it, and I bought a few new things to sort it even further! But I’m happy with the system I have now. Goal complete! This goal surprised me… but I have found for certain kits, I really do enjoy stamped cross-stitch! A new thing I’ve done this year is start embroidering pillow cases and hand towels, because of the Salvaged Stash I discovered early in the year. It’s still difficult for me to do, but I feel like my skill has improved since I’m more used to stamped cross-stitch, and the finished product looks better than my first few attempts. I’ve even found myself looking to do more stamped kits because I enjoy the pillow cases so much. Goal complete! Well, I didn’t complete this goal. Every project I’ve done not from a kit, is one I’ve designed myself. Wooper Love, the Game of Thrones iPhone Case, and both gifts for my nephew (articles coming soon!) were all things I designed myself. I have bought a few cross-stitch magazines since I started working at Joann’s, but I’ve had so many other projects to do I haven’t looked at any to start! But I’m not so concerned about it now. There’s so much to do, it’s best to stitch what you love instead of worrying about stitching something else. I don’t think this goal will make it to the new list. But how about the list for 2014? Here it is! This goal must have not been a very big deal last year, since I didn’t have it on the list! But over the course of 2013 I’ve started and stopped a number of projects I really want to finish. (My Progress Reports are a testament to that! I don’t think I finished any of the ones I wrote articles on!) My list of UFOs went from one or two to over a dozen. My goal for 2014 is to complete as many UFOs as I can! Bringing this down from last year’s list to this one, like I said above, I would like to complete some of my mom’s UFOs – but not all! That’s the main difference between this year and last year. There will be an article on this in the coming weeks, but there were a few presents I was stitching for Christmas that didn’t get finished. I had too many other things to work on along with my job, so I ended up giving an IOU to people instead with a picture of what the finish will look like. Those pieces now have top priority! (I say that about every piece but it’s the truth!) If this goal isn’t completed by next year I will be very disappointed. It’s like a guaranteed complete! I know I say all the time how much I dislike large projects and how we don’t get along, but I do have a lot of large projects in my stash that I really want to do! Out of the dozen or so I have in my stash, I would really like to finish at least one in 2014! That way I can say I did it. And maybe even learn to enjoy large projects in the process…? I doubt it though. And finally, to round out the list with yet more projects I would like to do… I’ve done a Cat-Themed Rotation (which I am still working on), but I mentioned about halfway through the year that I would like to do a bear or teddy bear-themed rotation as well! And throughout October and November I found lots of bear kits to do and added them all to my stash. In the new year I would like to start a Bear-Themed Rotation, and hopefully have a bit more success than I did with the cat-themed one! And that’s it for my 2014 New Year’s Resolutions! When we revisit this list in 2015, I hope they’ve all been completed and accomplished! 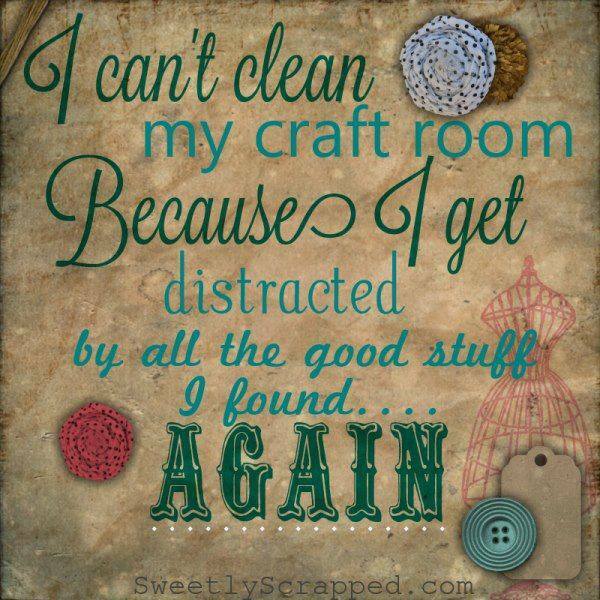 What are you looking to accomplish with your stitching in 2014? “Random Corner” is a place for all articles related to all manners of cross-stitchery and the cross-stitch community that don’t fall into the topics covered in the regular segments. There is no set schedule for Random Corner articles, they’re just random! The three rescued pillow cases. Welcome to our first Salvaged Stash article! So what is Salvaged Stash? Basically, I have a goal to Save the Stash from the Trash, and over the last few years I’ve saved several finished pieces from being thrown away or ending up being used as scraps or storage items. I want to share them with you all, and raise awareness of what happens to these finished pieces over the years once they’re finished being stitched. And remember to save the stash from the trash! Anyway, our first Salvaged Stash piece is a thriller! It’s not the article I planned to start with, but some new developments made me incredibly excited so I wanted to get this one out first. Imagine what will happen to your stash once you’re gone. Maybe you’ll be blessed enough to have other stitchers in the family who will take it and maybe finish all those UFOs and WIPs you have lying around. Or maybe you’ll have it set up so your stash will be donated somewhere or otherwise given away to other stitchers you know or to a good cause. But imagine what happens to the stash for the families of those who have no other crafty people. What will happen to the stash then? The unfinished pieces will probably get thrown away because someone won’t see value in something that isn’t done. Maybe they’ll try to sell the unopened packages of fabric or needles or thread – but it might also be too overwhelming, considering the gigantic size of most stashes. The best option – and the one most families will go with – will be to take all the stash into a local charity or thrift store to let someone else try to sell it all. As someone who owns a thrift store, has worked in some, and regularly shops at them, I can’t begin to tell you how much amazing cross-stitch stuff I’ve found in thrift stores. I know in a lot of countries DMC thread isn’t cheap, but at my local Joann’s you can get a skein for $0.39 USD (last I checked). Sometime they run sales 3 for $1 or 4 for $1. Well I went to the Goodwill down the street from campus and randomly came across an entire bin full of BOXES of DMC thread in yellow and green. There were 12 skeins to a box and most of the boxes were in good condition with all the skeins inside, and guess how much they were? $1 each. That is $0.08 per skein! Better than any deal you could possibly get in a retail store. Unfortunately they only had two colors but I’ll never run out of yellow and green for that price. Right above this bin of DMC thread boxes there were unopened packages of needles for less than $0.60 USD. I always just use the free needles that come with kits so I don’t know if they were a certain kind but it was a great price. There were some quilting patterns, yarn, and hoops in the same area as well. Next door to the Goodwill by campus is Community Thrift Store, which is a smaller building but tends to have stuff Goodwill does not. The wooden embroidery square frames in the stores can run upwards of $50 USD and I found one there (missing one screw) for $4. There was a very pretty unfinished yarn project on it as well I got for free. I also found an unopened cookie jar cross-stitch kit, a hand framed finished piece I’m sure someone made with a lot of love, and several packages of fabric and some more hoops. There is another store called Yesterdays Memories pretty close to my house that I decided to go in and browse one day. The woman working was very nice and happened to be a stitcher herself! She had bad eyesight and couldn’t see well enough to do it anymore, but offered to bring a whole load of stuff down for me to look at because she was otherwise just going to end up giving it away or throwing it all out. After we chatted I walked around and found several very cool unopened packages of fabric (two of them were checkered in multiple colors) an old sewing table, a sewing box (I didn’t end up getting either because I didn’t have enough money on me at the time), several wooden and metal hoops, several handmade felt pincushions in 3 different colors (I so wanted one but again, was running low on money), a cross-stitched table runner that was a small hole in one of the corners the owner was going to throw out, several opened kits that still had all the stuff with them, and a Paula Vaughan finished piece called “Something Old, Something New” that had been professionally framed and had been donated by someone who otherwise would’ve just thrown it out because they had no use for it. I mean this piece is enormous, would have taken me several years to finish, was framed professionally, and the original owner was about to throw it out. Well I rescued it, and it’s currently hanging on my wall above my bed. I’ve gotten several donations to my own thrift store as well. A child of a woman who passed came by and brought almost all of the woman’s Christmas craft stuff for me to sell. It wasn’t just cross-stitch (although I found hoops and several dated Christmas ornaments) but handmade cloth wreaths, wooden ornaments and decorations, ribbons and bows and all kinds of things. I have a few finished pieces that a woman said was given to her by her grandmother after her grandmother passed but she didn’t want them. I have really cool looking needlework tapestries (they were manufactured in Belgium, but they still look cool!). I have a large amount of chart books for cross-stitch, needlepoint, and embroidery, along with thread and hoops. All donation stuff. I’ve been seeing a lot of discussion in my Facebook groups about the New Year and how people want to stop buying new charts, fabric, etc., because their stashes are so large. Not that I disagree, I believe in using what you have before getting something new, but I also have an opinion on buying stash. If it’s possible, find a thrift store near you and buy any stash stuff you find from there! Because it is unbelievable how much good, gently used or even unopened stitching supplies can be found because people give them away. And guess what happens if nobody buys it? It ends up in the trash! And especially if you find finished pieces, buy them. Save them. You know how many hours we stitchers put into our pieces, sometimes thousands of hours, but people who don’t understand will literally want to toss them out thinking they’re worthless. The piece I have above my bed was probably worth thousands of dollars to the person who made it and I got it for less than $15. Buying from the retail chains and your local needlework shops and your online stores are very important – after all, buying charts or kits or fabric shows the commercial industry that there is a market in cross-stitch and people will buy if you have something to sell. That why Wal-Mart recently brought back its stitching section for the first time in years (I know because when I first got back into cross-stitch I couldn’t find anything anywhere until I went to Joann’s). But when I know, and have personal experience, that there is a lot of beautiful and gently used stash items and unfinished and finished pieces lying around in thrift stores or charities that are going to be thrown away if people don’t buy them, I get very upset knowing it’s all going to go to waste. Please, if the option is available to you, save the stash from the trash! Don’t let non-stitchers and anyone else who doesn’t understand what we do just toss away those things that are so precious to us! Shop at thrifts stores or charities, go to estate sales and garage sales, look for stash where you can find it, and save it! It is always cheaper than what you can get from big chain stores like Joann’s and Michael’s and DMC. And think of the fact that some of it might not even be in production anymore! That nice package of aida fabric you found might have come from a company that went out of business 20 years ago. Or that kit is extremely rare because it’s completely out of production. You might never find another thing like it again, and if you don’t buy it, no one else will be able to see it either because it’ll get thrown away. “Random Corner” is a place for all articles related to all manners of cross-stitchery and the cross-stitch community that don’t fall into the topics covered in the regular weekly schedule. There is no set schedule for Random Corner articles, they’re just random! I had a close friend get married recently, but the wedding was so sudden I had less than a month to find and start my very first sampler. I’m hoping it have it done this year as a first anniversary present. When I dug through my mom’s stash I found 5 well-started but unfinished pieces. One was so close to finished I took a few days and sat down and finished it, but the other 4 are sitting incomplete. Two have stains from one thing or another so I’m going to see if I can remove them or if the piece is a bust and I’ll have to re-start, but I’m looking forward to completing what my mom started. My stash is tentatively organized into: bin full of the charts and kits and leftovers of finished pieces, the finished pieces, small kits, medium kits, large kits, magazines, and the materials (thread, aida, etc). But there is no storage or sense of organization. I’d like to develop a working system to get everything together with. I’ve only done two stamped cross-stitch pieces, and I hated doing the two I did when it came to the actual stitches. I loved the backstitch and quarter stitches on the fabric, but I couldn’t keep the stitches even to save my life and I hated it. Still, stamped pieces are to get used to using linen fabric and there are several kits I love but refuse to do because they’re stamped, so I hope to get over my dislike in 2013. I did design my own little project for my boyfriend and then a separate little present for his nephew from a lettering book, but other than that I’ve never done a solo chart. I favor kits with everything included already. I’d like to start expanding my horizons and buying all my own materials and learning how to grid and all that fun stuff. This is just a small list of what I want to accomplish. What are you hoping to accomplish in 2013? In this week’s Term of the Week we dive into the different types of fabric available to stitchers! Aida (also called aida cloth and java canvas) is a type of even-weave fabric designed specifically for needlework such as cross-stitch and embroidery. It is a stiff material that softens as you work, which is ideal for stitching in hand, but a hoop or a frame can be used also. All aida cloth is even-weave fabric, but not all even-weave fabric is aida cloth. It’s the most popular fabric for cross-stitch and comes in a variety of colors. It’s the fabric packaged in most kits. Aida is often called a beginner’s fabric due to the perfect squares formed by the even-weave as well as the fabric’s natural stiffness. It is not good for fractional stitches due to its stiffness. In order to make fractional stitches (such as quarter and three quarter stitches) the stitcher has to “punch through” the fabric’s middle square. More advanced stitchers prefer to use pure even-weave and/or even-weave linen rather than aida, especially for larger projects and projects with lots of fractional stitches. Some stitchers, however, prefer to use aida for all their stitching. Just like many other things in cross-stitch, it’s all a matter of preference! An example of Aida Cloth fabric.